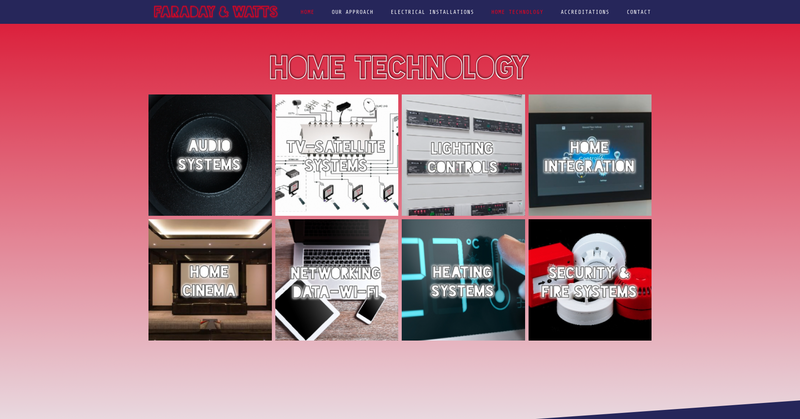 Electrical and home technology installation experts, Faraday & Watts asked us to create a website to help shed a little light on their brilliant business. By this point, we had already designed the new logo and branding for Faraday & Watts with their company name in electric blue neon against a black background. 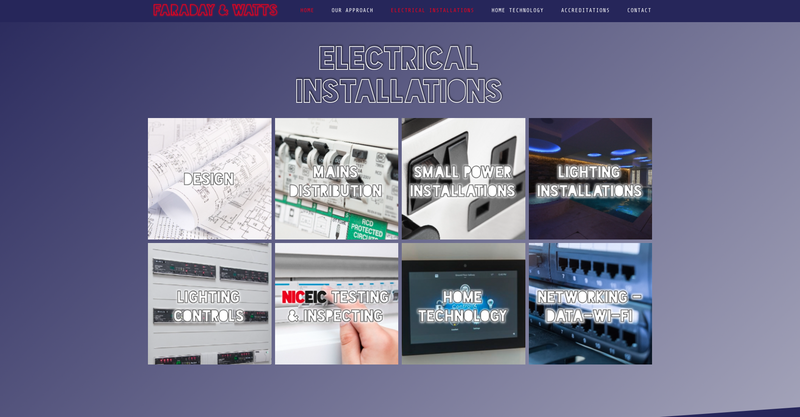 The design of their website would revolve around a continuation of this style into a design that properly showcased their expertise – and a web structure that was informative and easy to use. 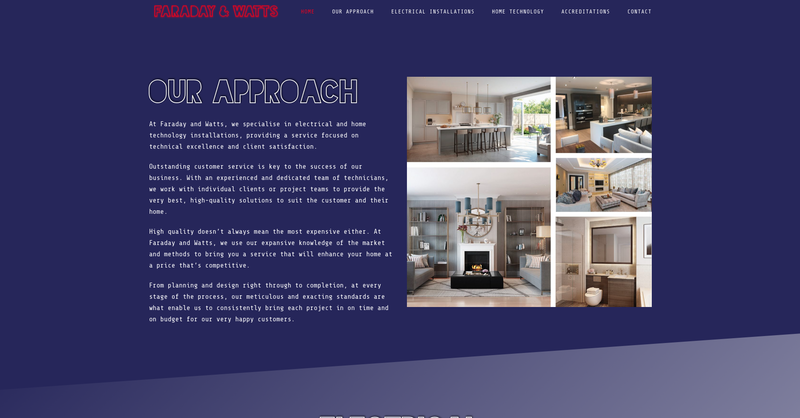 The home page provides a grand entrance to the site with a large welcome image of an inviting property. 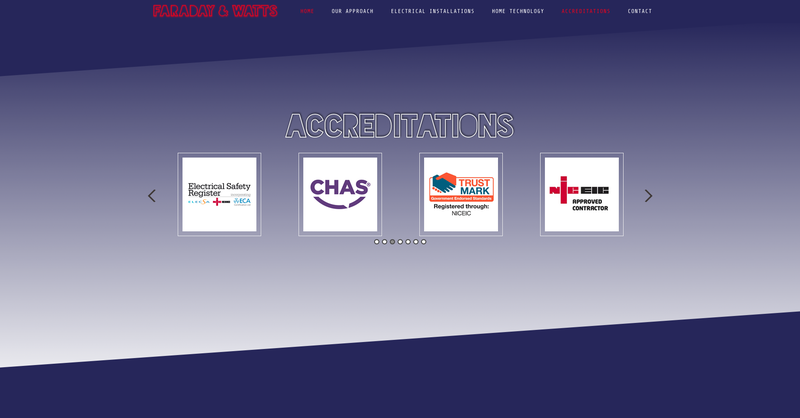 Above the featured image is the main menu bar which continues the neon theme of the logo to indicate to the page the user is on. 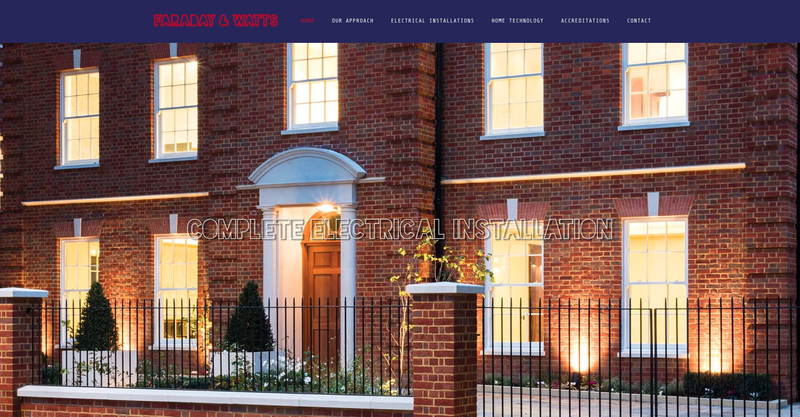 Faraday & Watts provide services in two distinct specialist areas: home technology and electrical installation. 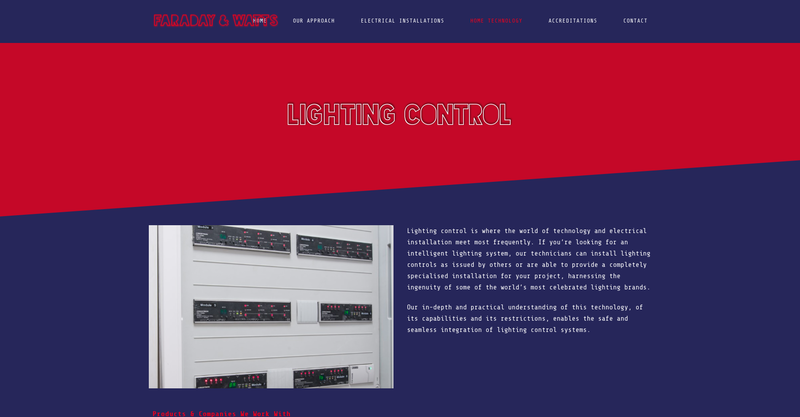 So, we created two separate pages with images and written content to provide more detailed information on both. 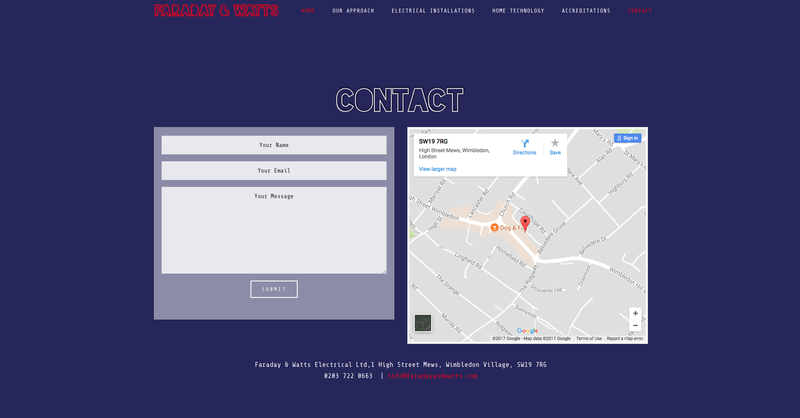 We created a page titled, ‘Our Approach’, to allow our client to give their prospective customers more information about their experience and the way they work, as well as a contact page with a form to allow people to quickly and easily get in touch. All of these pages kept the cut-out neon font style for the main headers but used different structures, backgrounds colours and images to suit the content and give each of the pages their own sub-identity under the Faraday & Watts brand.